The automation of application provisioning and management is one of the most important issues in Cloud Computing. However, the steadily increasing number of different services and software components employed in composite Cloud applications leads to a high risk of unintended side effects when different technologies work together that bring their own proprietary management APIs. Due to unknown dependencies and the increasing diversity and heterogeneity of employed technologies, even small management tasks on a single component may compromise the whole application functionality for reasons that are neither expected nor obvious to non-experts. In this paper, we tackle these issues by introducing a method that enables detecting and correcting unintended effects of provisioning and management tasks in advance by analyzing the context in which the tasks are executed. We validate the method practically and show how context-aware expert management knowledge can be applied fully automatically to provision and manage running Cloud applications. 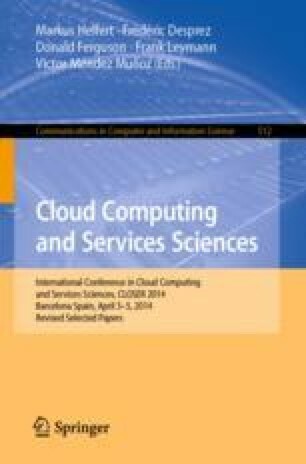 This work was partially funded by the BMWi project CloudCycle (01MD11023).